What is the most important information I should know about rosiglitazone? You should not use rosiglitazone if you have severe or uncontrolled heart failure. Do not use rosiglitazone if you are in a state of diabetic ketoacidosis (call your doctor for treatment with insulin). Rosiglitazone is not for treating type 1 diabetes. 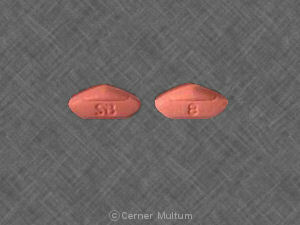 Rosiglitazone can cause or worsen congestive heart failure. Call your doctor at once if you have shortness of breath (even with mild exertion), swelling, or rapid weight gain. Rosiglitazone is an oral diabetes medicine that helps control blood sugar levels. Rosiglitazone is for people with type 2 diabetes. Rosiglitazone is sometimes used in combination with other medicines, but it is not for treating type 1 diabetes. Rosiglitazone is not recommended for use with insulin. Taking rosiglitazone while you are using insulin may increase your risk of serious heart problems. What should I discuss with my healthcare provider before taking rosiglitazone? 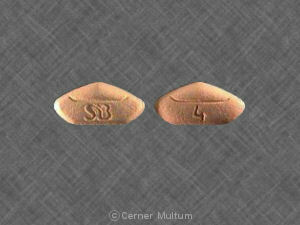 You should not use rosiglitazone if you are allergic to it, or if you have severe or uncontrolled heart failure. Do not use rosiglitazone if you are in a state of diabetic ketoacidosis (call your doctor for treatment with insulin). Women may be more likely than men to have bone fractures in the upper arm, hand, or foot while taking rosiglitazone. Talk with your doctor if you are concerned about this possibility. It is not known whether rosiglitazone will harm an unborn baby. 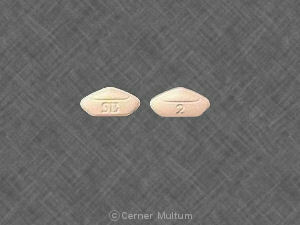 Tell your doctor if you are pregnant or plan to become pregnant while using this medicine. Some women using rosiglitazone have started having menstrual periods, even after not having a period for a long time due to a medical condition. You may be able to get pregnant if your periods restart. Talk with your doctor about the need for birth control. It is not known whether rosiglitazone passes into breast milk or if it could harm a nursing baby. You should not breast-feed while using this medicine. How should I take rosiglitazone? Use rosiglitazone regularly to get the most benefit. Get your prescription refilled before you run out of medicine completely. What should I avoid while taking rosiglitazone? What are the possible side effects of rosiglitazone? What other drugs will affect rosiglitazone? This list is not complete and many other medicines may increase or decrease the effects of rosiglitazone on lowering your blood sugar. This includes prescription and over-the-counter medicines, vitamins, and herbal products. Not all possible interactions are listed in this medication guide. Copyright 1996-2017 Cerner Multum, Inc. Version: 15.01. Revision date: 1/4/2016.